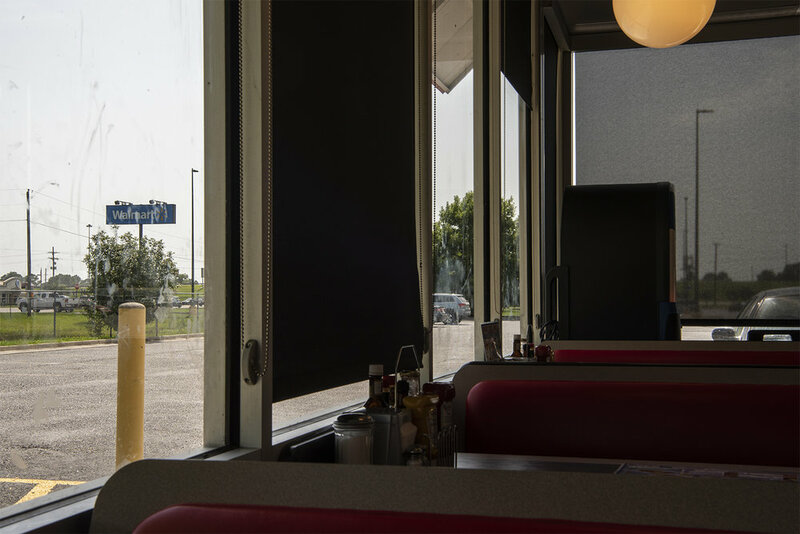 Waffle House Vistas focuses on the landscape and architecture seen from the windows of Waffle House restaurants from across the southeastern United States. 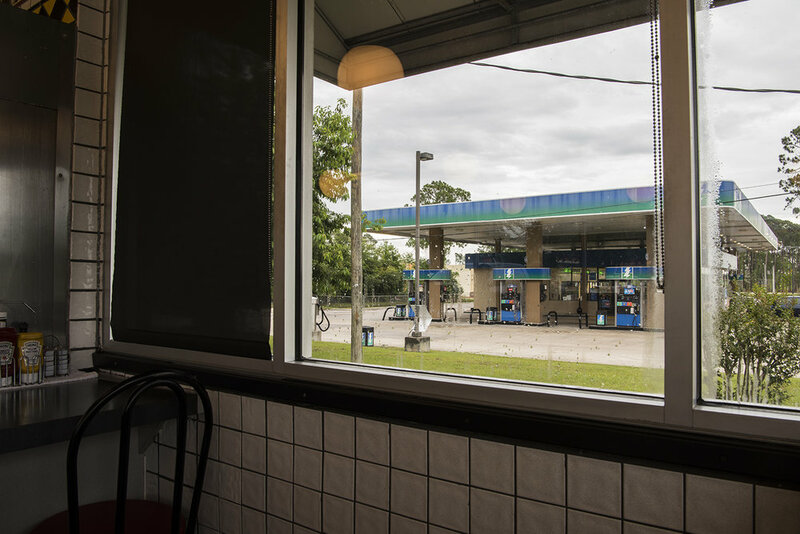 This photographic inquiry documents the homogenous design of urban sprawl and the predictable establishments found in rural transportation hubs as seen through the i windows of restaurants that are physically similar in almost every location. Where these restaurants are located and why, the surrounding architecture of habitat and commerce, and the volatile political and economic climate we exist within are contemplated through the lens of a cultural icon. While the photographed locations vary by state, population density, and proximity to the Interstate highway system, the surrounding built environments share commonalities. The images look out from restaurant booths and chairs, placing the viewer as a witness to the intertwined narratives of poverty, transience, economics, and politics.